You are very welcome to visit our garden. This year, as well as our weekly openings, we will be opening for the National Garden Scheme (26/27th May 2019). We will be open for visitors on Fridays, Saturdays and Sundays from 2pm until 6pm throughout July, August and September (and August Bank Holiday Monday). Park alongside the black-roofed shed and enter via the double gates into the yard. During this time (except the NGS weekend mentioned above) we will accept the 2 for 1 vouchers from Gardeners World magazine and will also accept a 2 for 1 entry for Members of Garden Organic. We are now an RHS Partner Garden so Members of the Royal Horticultural Society (RHS) will be able to visit free – see RHS Handbook for terms and conditions. If you are unable to make any of the above, or want to arrange a group visit, please e-mail us or call on 01873 890219 and we will try to accommodate you. No minimum number. Nant-y-Bedd is accessible by coach. Parking for coaches can be arranged. 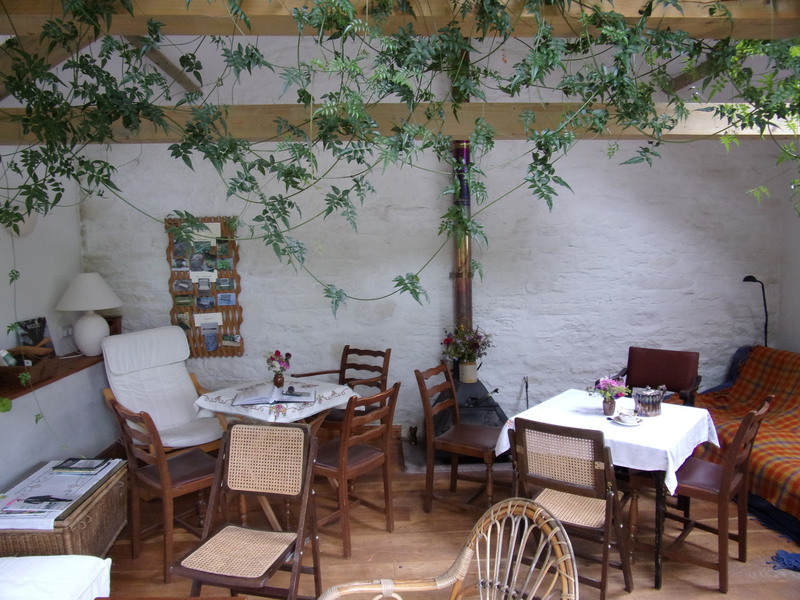 Local foraging expert Liz Knight will be running a series of foraging days here this year. See her website for details. 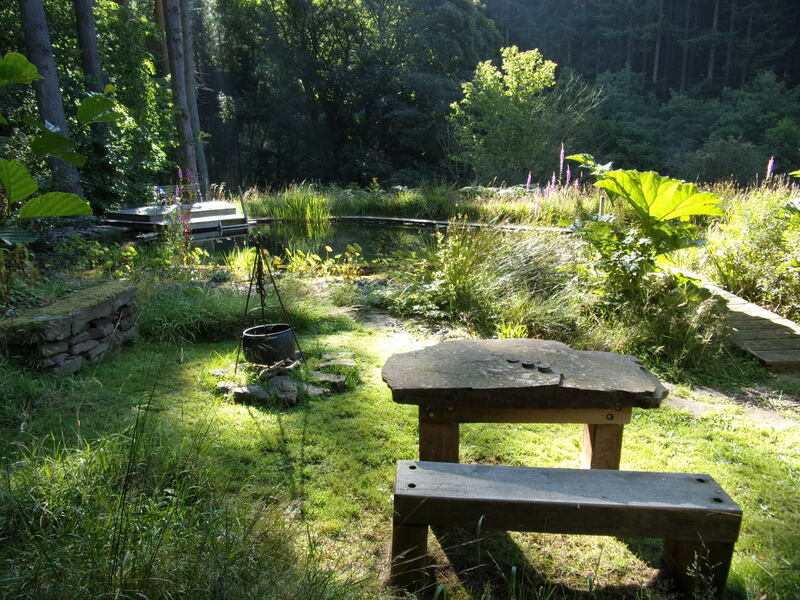 We will also be hosting three Forest Bathing (Shinrin-yoku) days led by practitioner Carina Greenwood of Forest Bathe. Sue is also running workshop days – including her favourite subject of compost making. Details of all of these can be found by clicking the Courses and Events button at the top of the screen. For an idea of the garden throughout the year click here. Follow our Instagram page for an up to date idea of what is looking good in the garden before your visit. £5 per adult, children free. Guided tours with Sue (except on NGS days) can be arranged for an additional fee. The entrance fee goes towards to maintaining and improving the garden, which we have now set up with its own aims and objectives (and bank account). 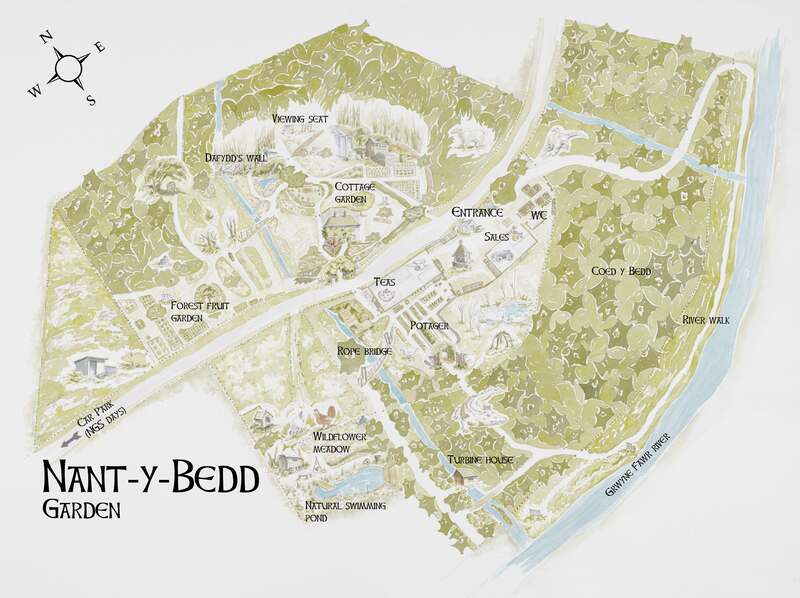 to foster an understanding of organic and sustainable gardening and lifestyle by opening Nant-y-Bedd Garden to members of the public and through talks and courses which further this aim. In 2019 all proceeds from 26/27th May will go to National Garden Scheme supported charities. 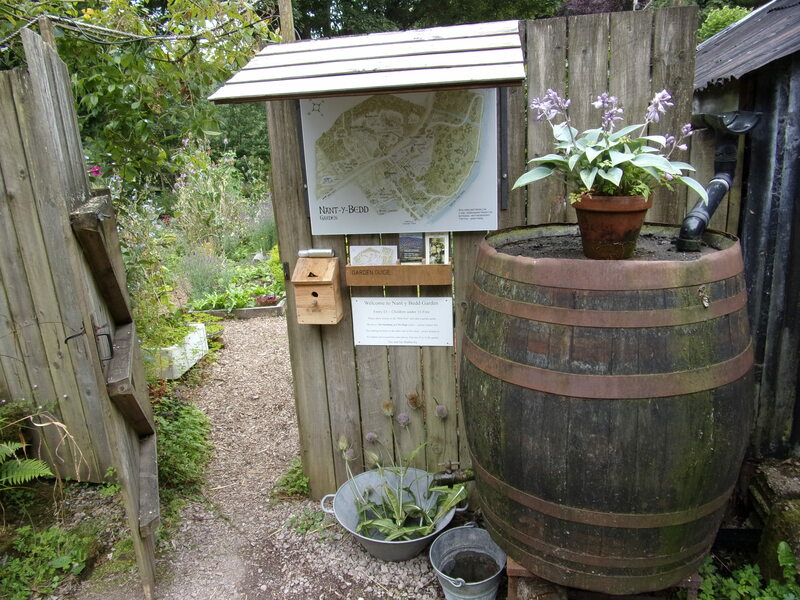 The garden entrance – pay by feeding the birdies in the bird box!! Tea and cakes will be available on the NGS days and self-service tea will be available on most other days. For group visits please discuss with us in advance. On non-NGS days visitors are welcome to bring a picnic to eat by the river or by the pond. Picnic by the shepherd’s hut and pond. The garden room and potager only are the only parts of the garden suitable for visitors with limited mobility due to terrain and topography. Unfortunately it is also not really suitable for wheelchair access due to narrow and/or uneven paths. The website https://seearoundbritain.com has an extensive number of photos of aspects of the garden, such as gates, bridges steps and slopes, which could impact on a visit. The natural swimming pond is not available for use by visitors, only for family and friends by invitation. Plants (mostly home grown) will usually be available for sale as will home-made garden accessories (plant supports, benches etc.). For more details have a look at the posts under Garden Accessories in the menu bar. Gardening clubs may also wish to discuss our availability for giving illustrated talks.